We recently thoroughly enjoyed a trip to the Warner Bros. Studio Tour just outside London. We were celebrating the lovely Jennifer from Pastry & Purls‘ birthday. I had actually visited a good few years ago (I really love Harry Potter), and it was well worth going again. This time was a little different though as we had a small person in tow. I found information beforehand a little bit vague in terms of bringing a baby and facilities for babies, so I wanted to write this post in case anyone else is wondering the same things we were before our visit. It is relatively easy to visit this tour with a baby, I think it would be more challenging with a toddler. If like us, you just want to visit yourself then I recommend going when they’re very little or when they’re quite a bit older. Obviously it depends on your child, but some of the exhibits could be quite scary for a younger kid, also if you haven’t read all the books/ seen all the films spoilers are obviously a major risk so I would want to wait until Chick has (hopefully) read and enjoyed all the books and watched all the films when she’s quite a bit older before visiting again. 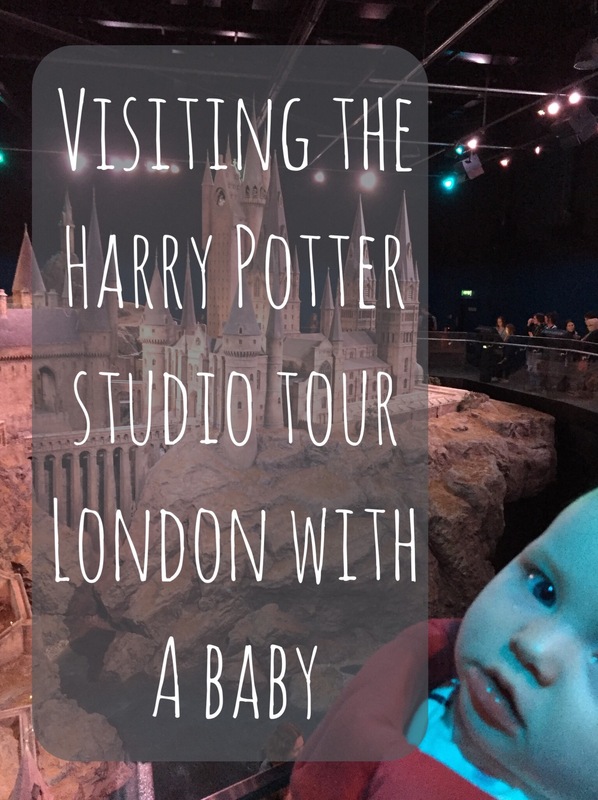 We had such a fun day out, totally unmissable if you’re a Harry Potter fan. It’s the story of how the films were made with the opportunity to see and step inside the sets, see the props and all the other behind the scenes stuff that happens when creating such a complex magical world on screen. It’s also the only place you can try Butterbeer in the UK. Harry Potter was something I grew up with and has been a huge part of my life so I got a little bit emotional again at the end of the tour with this closing message – despite the fact we were about to have a nappy explosion. Part of me is hoping we receive an owl for Chick in about 11 years time – imagine going to school at Hogwarts! – The website says that you may not be able to bring buggies or prams on the tour, we came armed with a sling and carrier because of this. From talking to the staff there doesn’t generally seem to be any requirement to leave your stroller in the cloakroom, so it’s probably going to be fine most of the time, but might be worth thinking about alternatives just in case. A lot of the information about the tour before you visit is deliberately vague, to save the surprise, so I’m going to try and not give anything important away. – The tours have timed entry and because of this there is some queuing to get into the tour as you wait for your slot. – Most of the ‘tour’ isn’t actually being shown around, rather there is about forty minutes at the start where you are guided round. It starts with an introduction to the Studios, before viewing a short introductory film in a cinema and then into one of the fabulous sets used in the films. Once you’re past this section you can go at your own pace. – During this forty minutes or so it would be hard to duck out at any point, so be prepared with food/nappy changes first etc. – If it’s nap time the film is quite loud! – The next opportunity to sit down and eat is about two thirds of the way round the studio tour at the Backlot where there is another large cafe and lots of outside seating with an entertaining view. Jennifer had brought us a fantastic picnic to eat here and again there were lots of high chairs available. – Due to the way the Studios are laid out it would be quite difficult, though not impossible, to head for this cafe and then double back to previous exhibits, so do bear this in mind when planning your day. – After this the next opportunity to sit down to eat or drink would be after exiting the tour in the original entrance hall. So stop at the Backlot if in any doubt. – There is baby changing in the main entrance hall, at the end of the section on interior sets, and in second part of the tour just by the Backlot cafe. It never feels too far from changing facilities wherever you are, aside from the initial introduction. – The exception to this is in the last part of the tour, once you’ve left the Backlot, if you need changing facilities then duck back rather than going on as you have to exit to get to the next baby changing station. Happy Harry Pottering! I’d love to know if you find this information helpful or if there is anything I’ve missed out. A version of this post originally appeared on my old blog Home Make Be.